After a weird energy spike which randomly turned my computer off. I am thinking of buying UPS. Better safe than sorry. What brands are well known for casual home user which wants to have around 30mins before turning off the computer, maybe few monitors and a router after a power failure. What could I get for 150 bucks? I'm using this for my desktop PC. Not saying it is the best, but sure it works for me. I can't say its own power autonomy because it depends by the electrical load, but certainly in the case of black-out, you have all the time to save your data and turn off the PC. I don't think you are looking at this correctly. Backup power during a full power outage is only the icing on the cake. The biggest advantage to using a "good" UPS is the AVR (automatic voltage regulation) it provides at all other times. A surge and spike protector is little more than a fancy and expensive extension cord. They do nothing (except kill power - if working properly) for excessively high surges and spikes. And they do absolutely nothing at all for dips (opposite of spikes), sags (opposite of surges) or brownouts (long duration sags). Any of these anomalies can disrupt power to your computer resulting in data loss and even damage to your equipment. In terms of battery runtime, that is a function of (1) load - the demand the connected devices put on the UPS batteries and (2) the size of the UPS. As a minimum, the UPS must be large enough to support the load long enough to save any open documents, exit any running programs, "gracefully" shutdown Windows and power off the computer. So technically, 5 minutes runtime is enough. A 500VA (300W) UPS may easily be able to support your connected equipment but a 1500VA will provide longer runtimes. I note you said "few monitors" but you failed to be specific about any of your hardware. Depending on monitor type and size, they can eat up some power. I have the APC Back-UPS Pro 1500VA on my system which includes the computer, router, modem, 4-port Ethernet switch and 2 x 24 inch LED LCD monitors. I get about 45 minutes of run time, a solid hour if I kill power to one monitor. APC UPS tend to cost a bit more, but IMO, they have earned it with their decades of reputation making quality UPS. CyberPower is another option. I have used them too with no problems. Note that most better UPSs have a computer interface and associated software that monitors UPS status. When the battery charge drops below the applicable threshold, the software automatically saves any open documents and "gracefully" shuts down the computer for you if you are away during the outage. Very nice! You may hear some push "pure sinewave" UPS over stepped approximation waveform output. With a quality UPS and quality power supply in your computer, you don't need pure sinewave. But if budget allows and you can get one at a good price, go for it. Only brand i know and heard is apc so I would say go with that if you can afford it. APC 600VA BackUPS, still going strong for 4+ years. Now, its used for my TV because my desktop died few years ago. Only APC for me. Been a customer since 2000-01. Currently using 2 x Smart-UPS 2200 (sine wave units, 4.5 and nearly 7 years old) and a Back-UPS RS 1500 (stepped sine wave, 10 years old) at home. That should give you a good idea of how long these products last. The Back-UPS RS 1500 doesn't play well with modern PC power supplies that have active PF correction. You must use a sine wave UPS with these PSUs. APC's user forum is a great place to ask for help. Battery replacements were frequent in one of the Smart-UPS units due to a high float charge voltage set at the factory. Finally got help at the forum and adjusted the voltage via the serial port. You must use a sine wave UPS with these PSUs. No you don't. That's a fallacy perpetrated by the marketing departments of pure sine wave UPS makers. There is a lot of "marketing" hype about "pure" sine wave output UPS. Don't fall for it! That's all it is, marketing hype by those companies who make pure sine wave UPS trying to take the market share away from APC. Any 1/2 way decent AC/DC power supply can handle the "stepped sine wave" or "stepped approximation" waveform just fine. They have for the last 25 years with no problems so there is no reason to believe the much more reliable and robust power supplies of today can't either. They are much more capable at handling power line anomalies than PSUs of yesteryear. And that's not just computer PSUs, but the power supplies for our modems, routers, switches, monitors and more. The only time you really need a "pure" sine wave output UPS is when used to support highly "sensitive" health monitoring and life support equipment as found in hospital intensive care units. All computer and networking devices use DC voltages. It is actually easier to make a clean DC voltage converted from a stepped approximation sine wave than it is from a pure (round tops) sine wave because less filtering is required. Do not forget that 99% of the time, our UPS is not "on-line". That is, it is not acting as a battery backup, except during a total power outage. It is just "in-line" acting as a sophisticated "automatic voltage regulator" (AVR). It is really for the AVR that we need a "good" UPS. Backup power during a full power outage is just the icing on the cake. But even then, power supplies do just fine with stepped approximation outputs (see: http://kerchner.com/electrical/sine wave.htm). BTW, a surge and spike protector is little more than a fancy and expensive extension cord as they do absolutely nothing for abnormal low voltage events like dips (opposite of spikes) and sags (opposite of surges), or long duration sags (brownouts) - any of which can cause your electronics to suddenly stop, resulting in possible corruption. And for "extreme" surges and spikes, a surge and spike protector simply kills power (if working properly) to your components. That's hardly good for your computer, drives, or data. Seasonic recommends a UPS with a pure sinewave output; however, a high quality simulated sinewave UPS from a reputable manufacturer could also be a possible solution to be used with our power supplies. Do EVGA Power Supplies support UPS backup devices that support Line-Interactive AVR UPS which uses a simulated/artificial sine wave? Answer / Solution Yes, all EVGA power supplies support UPS backup devices. In regards to this concern, the high voltage coming from a UPS backup device may damage the PSU. 1. EVGA power supplies that support active PFC, and the IC can sense the voltage of main capacitor. -If the voltage is too high(over 380V), the PFC will be protected. The only reason pure sine wave UPSs have gotten a lot of attention lately is because the prices have FINALLY come down so they are within reach. That and aggressive marketing from makers of such UPS. Since they have come way down in price in recent years, they have become competitive. So if you find one and the price is right, go for it. I don't have anything against them. Just don't believe you need it, or that it is better for your connected devices. 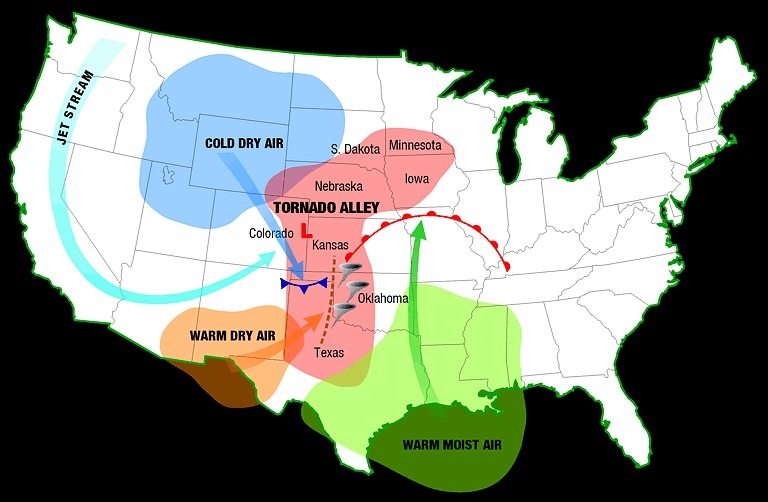 FTR, I live in Tornado Alley where we frequently have severe weather. Total power outages are not everyday, but they are not rare either - especially in my 100 year old neighborhood where the utilities are not buried. I have a "good" UPS with AVR on all my computers in the house, and my home theater audio equipment and big screen TV. I also have one on my garage door opener and even one in the bedroom for the alarm clock and electric blanket! And none are pure sine wave. I use Corsair's AX1200i PSUs (previously Coolermaster PSUs with active PFC) in my 2 home desktop PCs and when these are run off a modified/stepped sine wave UPS during a power failure there's a loud buzzing noise from the unit that becomes quite unbearable after a while. On the other hand, my old non-active PFC supplies work well with modified sine wave UPSes. So, I changed over to the Smart-UPS sine wave models but retained the Back-UPS to act as a stabilizer for my TV and its satellite receiver. Mains power supply (230 VAC/50 Hz) gets a bit flaky where I live and that's putting it mildly. I am sorry but we can only suggest a pure sign wave, you are welcome to contact them and see what if any type of testing that they may have done! The Corsair User Forums - View Single Post - UPS for Corsair AX850, HX750 - is adaptive sinewave UPS enough? Need pure sine wave? The thing is, Corsair's been coy about an official answer to this query. But you are right, PSUs CAN work on modified sine wave UPSes but IMO a pure sine wave model would probably be better. I use a sine wave inverter and standard UPS so far no issues. There's a buzzing sound, its no issue if you use UPS for just backup power to shutdown the PC. If you're using PC on UPS for a longer time then investing in a pure Sine wave is logical choice. I too have the same combination at home. But the inverter and UPS are different things built for different purposes. The inverter doesn't the switch over to battery as quickly as a UPS which protects the data. The UPS can power the PC for about 2 hours. However, the UPS software initiates a shutdown sequence automatically after about 15-20 minutes of run time. It has been configured to work in this manner to reduce the depth of discharge and charge cycles on the expensive AGM batteries. But the inverter and UPS are different things built for different purposes. They sure are different and sadly, many don't fully understand that. But my inverter comes with a switch to toggle inverter or UPS mode. UPS mode provides clean AC w/o any buzzing noise. Hey! Whatever works. If your computer is stable (no sudden freezes, shutdowns, or reboots) and your inverter is providing good, clean power to your connected devices, then great! The toggle switch controls the input voltage sensitivity/thresholds, and with some models the switch over time. It does not affect output voltage or waveform & therefore has little to do with the buzzing noise which is caused by feeding the PC's SMPS with stepped or modified sine wave AC. For e.g. read here: Home UPS/Inverter Back Panel switch – How to Use it? But as @Digerati said, if the inverter works for you then that's great. Troubleshoot How to Take Care of Power Banks?